Home > Free Samples Australia > Food & Drink Free Stuff > G I Gourmet Nuts FREE Sample!! 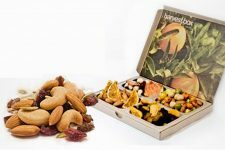 G I Gourmet Nuts only use the freshest, natural ingredients in the cooking of their nuts. They definitely do not cook their nuts in oil, ensuring the original, natural monounsaturated “good oils” in the nuts are the only oils you get. They are all cholesterol free, gluten free, low GI and wheat free, so you are free to eat as many as you want. Follow the libk over gigourmetnuts web page. Select free sample and fill the form with your details! Don’t forget to share this offer with your friends, they may want to give it a try! 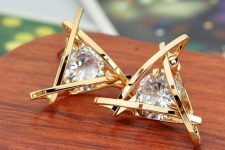 Grab FREE Triangle Crystal Zircon Stud Earrings! !